DMXtender makes it possible to connect two CAT-5 cables together. The DMXtender can be mounted on a DIN rail, lighting rig or a wall etc.The sturdy design of the DMXtender makes it suitable for professional use. Use to connect two CAT-5 cables together to make a cable extension. Gold-plated pins on RJ45 connectors. 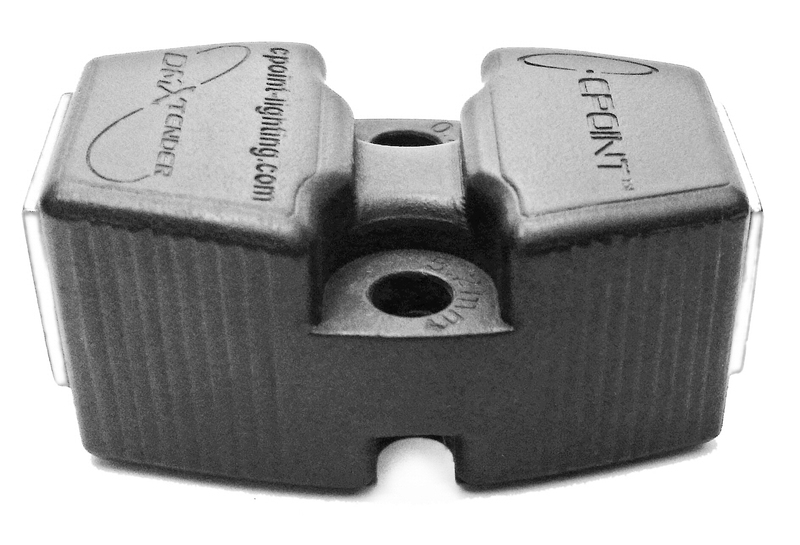 Sturdy molded housing with non-slip grip. Mountable on a DIN rail, lighting-rig, wall etc. Mountable with 5mm/0.2” screws or cable tie. 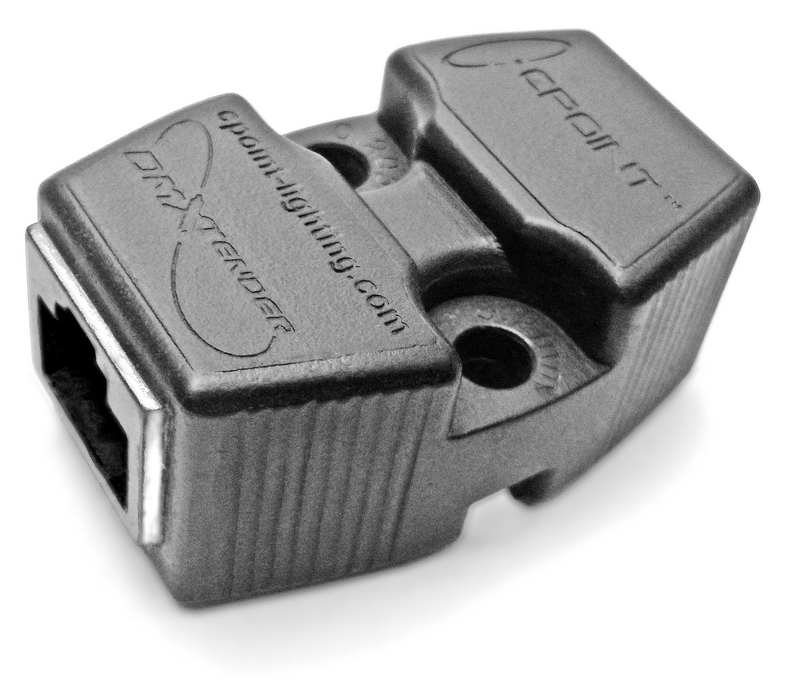 CPOINT® DMXtender - A mountable sturdy CAT-5 cable extender. NOTE: The 3rd Universe, pin 4 and pin 5, is unspecified by the ESTA Association. It opens up the 3rd Universe to be used for something else other than DMX512, for example power. 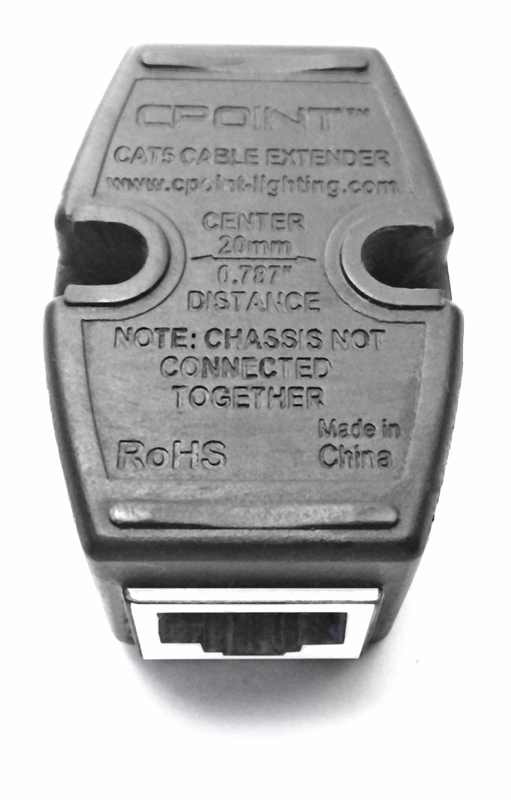 A CAT-5 cable wire pair (24AWG x 2) is specified to carry up to 360mA at a maximum of 50V according to the TIA Association. The DMXtender can be mounted in several different ways. Below are some suggestions of how the DMXtender can be mounted.